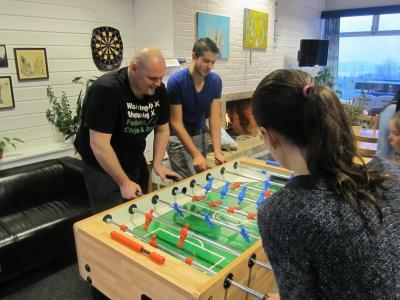 Lock in a great price for Bergen Hostel Montana – rated 8.2 by recent guests! Big parking area with free parking for overnight guests. Big common kitchen area where anyone can cook their own food. Great hostel just outside downtown Bergen. The rooms where clean and comfortable and the common area was really nice. A good breakfast as well. Great place! Amazing views! Lovely staff who will help you plan your trips! Incredibly friendly and social atmosphere. The price was great. I stayed there twice for one-night. 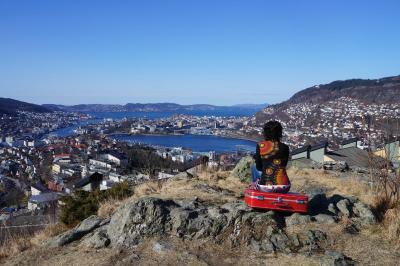 The location was great with a spectacular view of Bergen. Plenty of parking. It was a nice and calm place to stay; perhaps a little far from the central station of Bergen, but the sight and view from the terrace, worth it! Guys from staff members, everyone was very kind and excelent "tourist advisors" as well; for sure I recommend the hostel and hope there will be a next time!! Easy to reach by public transport. Very friendly staff. Clean rooms and proper breackfast. Loved the view and proximity to hiking trails, totally worth being out of town and away from noise. 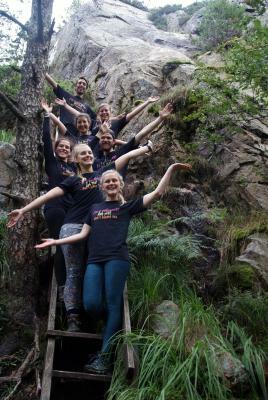 The staff were amazingly friendly and planned great activities for the guests. Highly recommend doing some of their activities and going on hikes in the area, as there are many right out the back door. 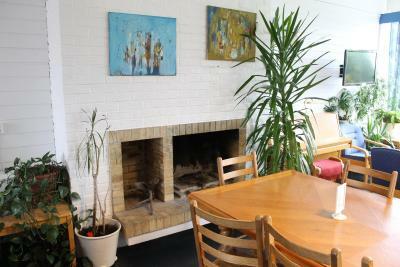 Lots of lounge space and kitchen is spacious and well equipped. 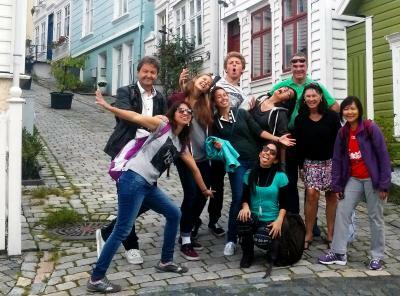 Can't speak highly enough of this place, wonderful way to experience Bergen. Located 3 miles from central Bergen, this hostel is 650 feet from the Montana Bus Stop. It offers 2 fully equipped guest kitchens, a game room, along with free private parking and free gym access. 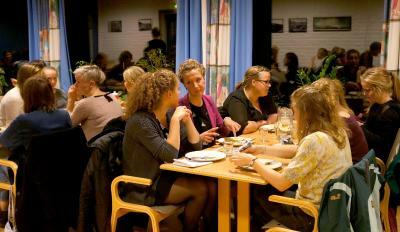 Bergen Hostel Montana provides simple accommodations with either private or shared bathroom facilities. Some include a sitting area and desk. A communal TV lounge with a fireplace and free Wi-Fi is available, as well as grounds with a patio, BBQ and views of Bergen. Montana Bergen Hostel also has vending machines and a guest computer. Bicycle rental is possible on site. 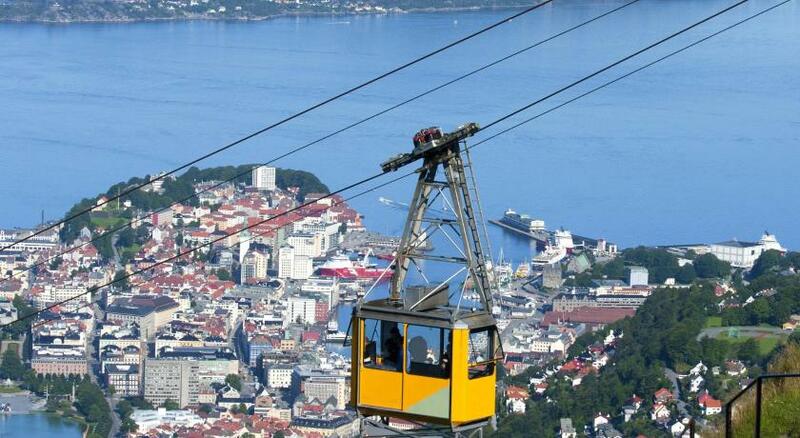 Mount Ulriken, the tallest mountain in Bergen, is only 300 feet from the hostel. Flesland Airport is 10 miles away, while a grocery store is within a 2 minute walk of the hostel. 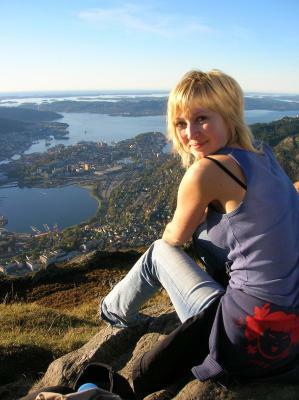 Årstad is a great choice for travelers interested in mountains, walking and city trips. 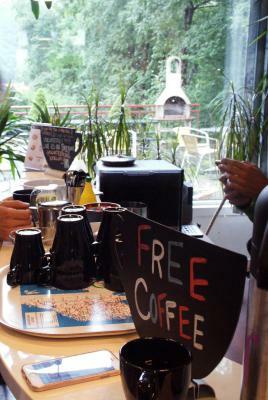 When would you like to stay at Bergen Hostel Montana? Simple room that has a private bathroom, desk and wardrobe. Has a bunk bed in a basic, 4-bed female dormitory room with a sitting area. Bathroom facilities are shared. Has a bunk bed in a mixed dormitory room. Bathroom facilities are shared. Basic room with bunk beds and a sitting area. Bathroom facilities are shared. Please let the property know how many guests will be staying. You can use the Special Requests box when booking. Area Info – This neighborhood is a great choice for travelers interested in mountains, walking and city trips – Check location Great location - show map Guests loved walking around the neighborhood! 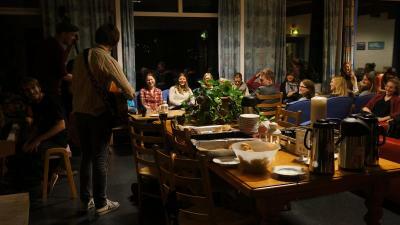 House Rules Bergen Hostel Montana takes special requests – add in the next step! Bergen Hostel Montana accepts these cards and reserves the right to temporarily hold an amount prior to arrival. Children under 16 are not permitted to stay in the dormitory room. Reception opening hours from 1 November - 30 April: 07:00-23:00. If you expect to arrive after 22:00 during this time of the year, please inform Bergen Hostel Montana in advance. From 1 May - 30 September, the reception is open 24 hours a day. Location is love-it-or-hate-it — it's at the top of a very big hill and quite far from the train station (but is great for Ulriken-climbers). Don't walk here with a heavy backpack like I did (god-forbid any kind of luggage, unless you enjoy this kind of stuff). Booking fails to properly disclose that linen is not only not included in the price, but is in fact mandatory too (unless you travel with your own linen for whatever reason). I was thus forced into a 70 NOK surcharge (on top of a one-night stay of ~300 NOK) once I arrived at the property, which I was all but extorted into paying because it was too late to cancel the booking for any refund anyways. This "compulsory rental" made the misleading price non-competitive with other hostels I could've chosen and left a very sour taste in my mouth. Great buffet breakfast (but it ends a little early). Amazing view of Bergen from the rooms and from just a few steps out the door, especially at dusk. Great showers and private changerooms. really nice breakfast buffet, and super nice staff. There is a viewpoint just outside the terrace and the common area is really cosy. I would come back! Noisy teenagers out of control! good Breakfast, but should have more for vegetarians. Amazing meetings with people from every country’s. good bed. Nice staff. heating in the toilets and in the laundry room. I have been there many times. I like everything the location and facilities. I've already had better variety for the breakfast of the same type of hostels (HI-Hostels). I missed the english-kind of-breakfast but especially eggs. As I left early in the morning I got my breakfast take-away in the fridge. It was very kind of the personal to prepare it! Amazing staff, and amazing guests also. Full of backpacking youth. During the rainy days, hostel staff organizes movie nights, board game nights and a lot of other things to keep the guests entertained. Beautiful view and nearby beautiful hiking trail makes this hostel one of the kind. 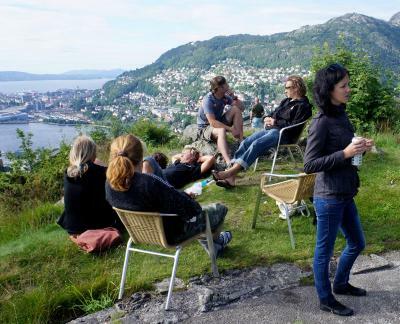 The staff, the views from Bergen, the hiking paths near, and the evening coffee with cookies are the best. The view from the terrace and breakfast area over Bergen is truly exceptional. Especially the terrace behind the hostel is worth spending time sitting there and enjoying the surroundings. Hiking trail to Mt. Ulriken just past the hostel entrance. should add closets or drawers to store our bags. The electrical outlets are far from the bed .